We'd been doing so well, I suppose I shouldn't have been surprised to finally have a bad night with regard to this bright idea of mine. Dinner with the kids is still far from perfect, but we moved from them having "something else" (inevitably, highly processed) instead of the meal Mike or I had prepared, to never asking for a separate meal and at least taking a few bites of the family meal, sometimes even enjoying and eating a significant amount of a healthy new item. There are still lots of complaints and declarations of hating certain foods, but we've made measurable progress. I was feeling good. Then came last night. I got home from work all gung ho about making my black bean patties with pineapple rice. I set right to work. Everything was going fine until the kids had a disagreement. Next thing I know, Anne is alternately crying and screaming, and then demanding that I hold her. I'm trying to juggle her while cooking and that isn't going so well. "How about you stand next to me on a chair?" This pretty much set the tone for the rest of the evening. :0 I got the rice going, and was working on the patties. I even used the food processor successfully. So then we sit down to dinner. Both children immediately look traumatized. "But it *tastes* really good. So try it." And it did. Those patties tasted awesome. Mike loved his. Both of them ate some of their rice. When I was making that, each ate a bunch of the pineapple as I chopped it. This is an extremely nice perk of cooking with real food. Healthy snacking. But the patties were going over like a lead balloon with the kids. Pretty soon, Henry was crying because we were being so mean as to insist that he at least taste his, and Anne started crying because Henry was crying. The kitchen was an absolute cacophony of misery, and I sat there flaring my nostrils. I spent an hour making dinner after working all day, and this is what I get? It was just a really bad night. After a night of sleep, I feel a bit better. With any endeavor, every day isn't going to be a good day. You have to take the good with the bad and keep trucking on. To look at the positives, I'm already seeing some pretty fantastic personal results from this project, which I will detail after my 10 days is up next week. I'm trying new things and am actually excited about what I'm cooking and serving again. I also love my new tea routine that resulted from all of this. I've always been a tea drinker. Nothing too fancy, black tea with cream and artificial sweetener. I have now switched to one cup of black tea a day, with real cream and honey, and one cup of herbal tea per day. And the herbal tea that I now have is AMAZING. My teapot and I: in love. It's the Teavana Perfect Teamaker. Isn't it the height of preciousness? You just dump the leaves in, fill it with water and let it steep. When you're ready to drink, you place your mug at the bottom and it has this little sensor that dispenses the tea right into your cup while the leaves stay strained in the pot. I adore it. I'm really enjoying it. It's giving me hope that my children actually CAN come to like vegetables and other foods they currently find repulsive. If her kids can come to like pickled pig snouts, mine can eat asparagus. :0 I'll keep you posted. I usually rarely miss a 7 Quick Takes Friday, but I'm taking tomorrow off to watch basketball with Mike. He and I are taking Henry out to lunch, since he has a half day from school, and I know I won't get to do any blogging. I will check in with you all on Monday and I promise lots of food and Lenten updates. :) Have a great weekend everyone! Oooh, it's such a cute little tea pot!!! 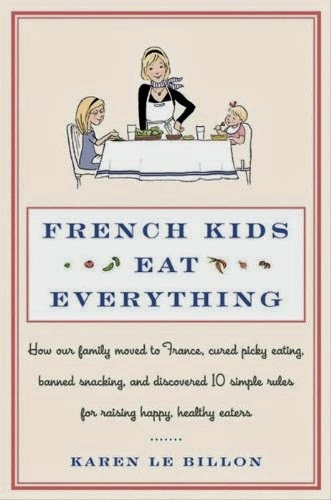 Before I got to the end of your post I was going to suggest French Kids Eat Everything. 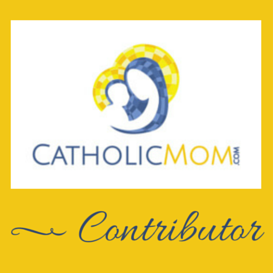 I am reading it now and finding lots of good tidbits to use with my kids. There have been some tears at my house too--also over black beans. Stick with it; it has to get easier. Marko is in a picky stage. Just this past week, really -- he has been tired and crabby and as a result he only wants bread. I can hardly blame him -- I too want nothing but carbs when I'm feeling lousy! But it's so frustrating to watch him push around his chicken and mashed potatoes, when he usually loves chicken and mashed potatoes, and whine that he doesn't liiiiiike it, it has a little bit of FAT on it, it's yucky, may he get down without touching a bite? And then throw a fit that no dessert is available? Well, a few days ago I was bored with chicken and rice, which we have SO often, so I decided to make a curry sauce. It was just onions, carrots, and curry powder, all pureed together. I put it on the table and put some on my food and the toddler's food, totally didn't pester Marko with it. But when he set up his whining about how he didn't like his dinner, I asked, "Want me to put some of my sauce on it?" He did .... and he ate every bite, including his peas, provided it was drenched in curry sauce. Curry sauce which was *just veggie puree. * I was laughing wickedly to myself all evening. I got him to eat one veggie he hates by covering it with another veggie he hates, and then he loved it. I win! Just keep feeding weird stuff, eventually it won't seem weird because they're used to seeing it different ways. And pureeing does make a big difference. Kids can be so scared of weird textures. Oh, and I also found that my kids are much more open to new and weird stuff when it's not dinnertime. They're contrary by dinnertime. But a snack in the afternoon can be just about anything. I even tested this once by giving them cut up chicken for snack and cookies for dinner .... they ate two big pieces of chicken and picked at the cookies! You know, I was just reading about this in the book, pureeing everything to start. Gets them used to new flavors in a non-scary way. Our food processor situation is kind of terrible, but I have a new one on my wish list. :0 Planning to try this! I so SO feel your pain. My girl only wants chicken nuggets and pizza, that would be her meal of choice at all times. There are nights when dinner is just a power struggle and i hate it. I'm gonna go look at that book now, for sure! Power struggle = YES! I know *exactly* what you're talking about! This book addresses that. You need to get it, read it, and report back with your thoughts and experiences. :0 Pretty please!